The walls of his establishment on Lunenburg's Falkland Street are adorned with a myriad of artistic drawings he created, and his talent with ink is well-known. But make no mistake about it. Mike Power, owner of Daggers Cove tattoo parlour and barbershop, thinks of himself as a trades person and a business owner, not an artist. Providing a tattoo service is "much more than just being able to draw," he told LighthouseNOW in an interview. "A lot of people call themselves artists. I'm not an artist. "It's a skill," he says of running his parlour. "You know, 20 per cent art, 80 per cent everything else." Having a successful tattoo parlour takes "technique, environment, personality. All that kind of stuff," says Power. He recalls tongue-in-cheek the words of a tattooer under whom he once apprenticed: "'You should definitely be able to provide a pleasant environment that [customers] are suffering in.'" And no bones about it: Most customers find getting tattoos painful to varying degrees. With four tattoos on her body, Erica Cross is an old hand at the process. She was there having a tattoo on her ankle from a former tattooer replaced. When this reporter arrived she was lying on the studio bed with her leg in Power's hands while he manipulated the whizzing needle machine into her skin. She managed to keep her leg completely still, but her face often contorted in pain, and she regularly drew in her breath. When Power started doing the shading part of the new flower and leaf design, she squirmed her upper body restlessly and winced, "Oh my God, this really hurts." But, like his other customers, she was willing to put up with the pain. And with a steady flow of customers willing to pay a minimum of $80 for a tattoo and $120 an hour, Power seems to be getting his overall business package right. Moreover, with his more stylistic endeavors taking anywhere from 15 to 30 hours, he enjoys an income level that pales beyond that of the proverbial struggling artist. "I'll probably be increasing that soon by, like, $10 or $15," he adds. But, like most businesses, success isn't immediate in the tattoo industry. Nor is cash flow as fluid as ink. Originally destined for a career in website design, Power got his first own tattoo at the age of 19 (he's now 41) and started drawing some designs. In 1999, he pitched them to one tattoo parlour owner in Truro, who liked them and said if he could get some equipment he'd be happy to train him. "And luckily I had a nice income tax return that year," he recalls. So he bought some equipment and got to work. Power has been building a name for himself, and income ever since. He has worked in parlours throughout Canada, including Montreal, Toronto, Edmonton and Banff, as well as Truro and Halifax. 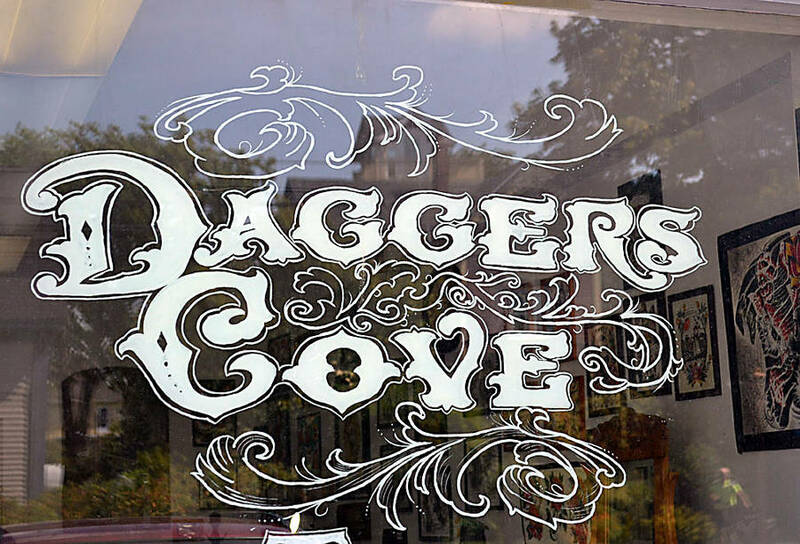 He launched his own parlour, the original Daggers Cove on Hollis Street in Halifax, in 2011. He moved to Lunenburg in 2015, explaining simply, "I like it here." Power estimates he's invested $10,000 to $15,000 in his trade over the years, including needles, a sterilizer, ink, studio renovations, insurance and advertising. "You know, just standard business stuff." But he points out he doesn't have inventory. "I don't pierce." Otherwise he would likely carry jewelry as well. In time, after the initial signage, the business advertising costs diminish. 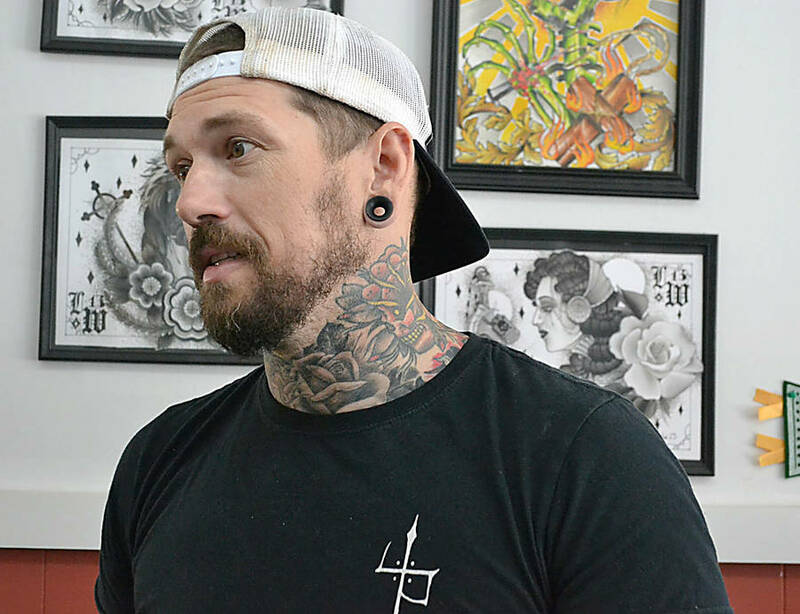 "Tattooing is still pretty much word of mouth," he suggests. 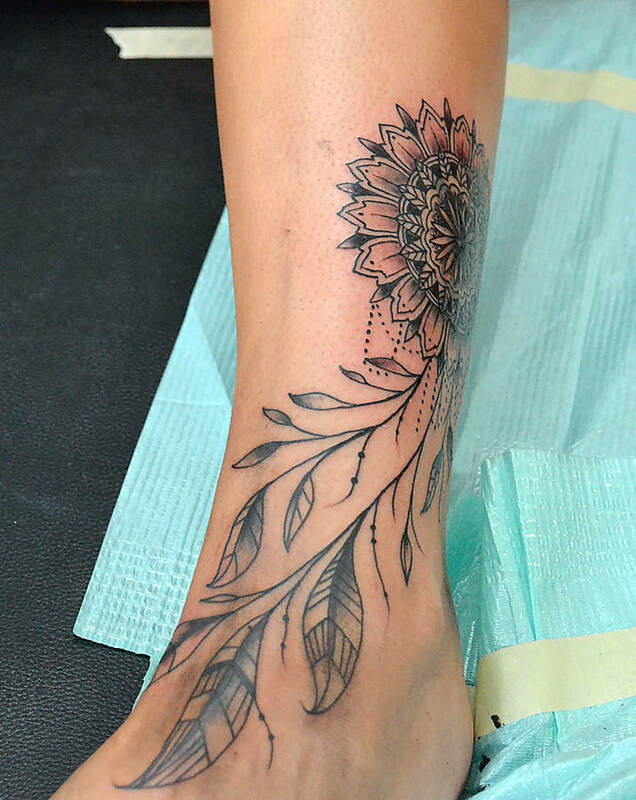 Referrals are a big thing, and a good tattoo artist can build a following of customers. "I had a long history of tattooing in the city so I had clients that come to me still," he says. It helps too that, with his own body embellished with tattoos, many which he did himself, Power is a walking billboard for his business. He often gets people asking about them and inquiring if he is a tattooer. Though he says that in itself happens less frequently these days. "Everyone's got tattoos now. It's hard to tell the tattooers from the non-tattooers." 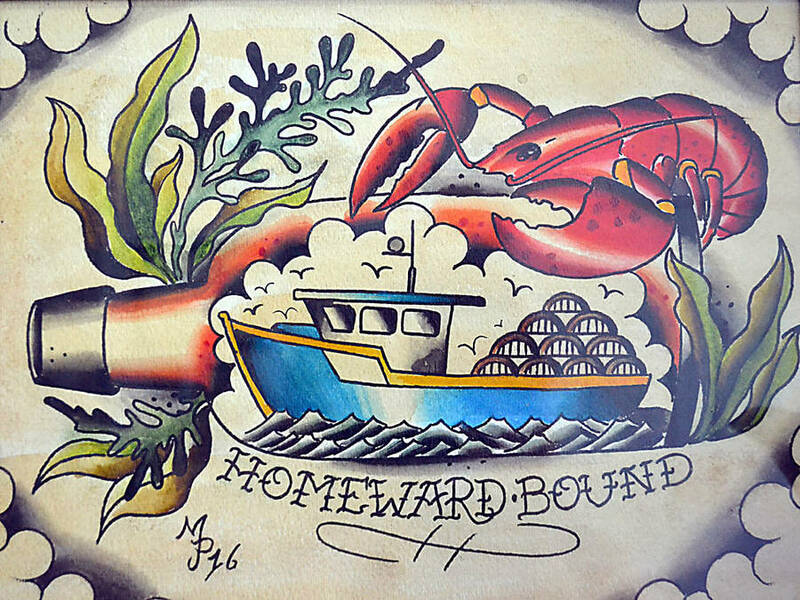 He used to specialize in more traditional and Japanese designs, but has expanded his repertoire to include cartoon-style drawings and, designs that pay homage to Lunenburg's seafaring lifestyle. In the past he has also travelled and worked as a guest tattooer at parlours in western Canada, where going rates are $120 minimum and anywhere from $160 to $200 an hour. But as a father now he's preferring to stick closer to home, he says. He's also added to the business repertoire, leasing out a chair in his parlour to hair stylists to offer a barbershop service as well. Currently, stylist Allyse Delaney is drawing customers for that. 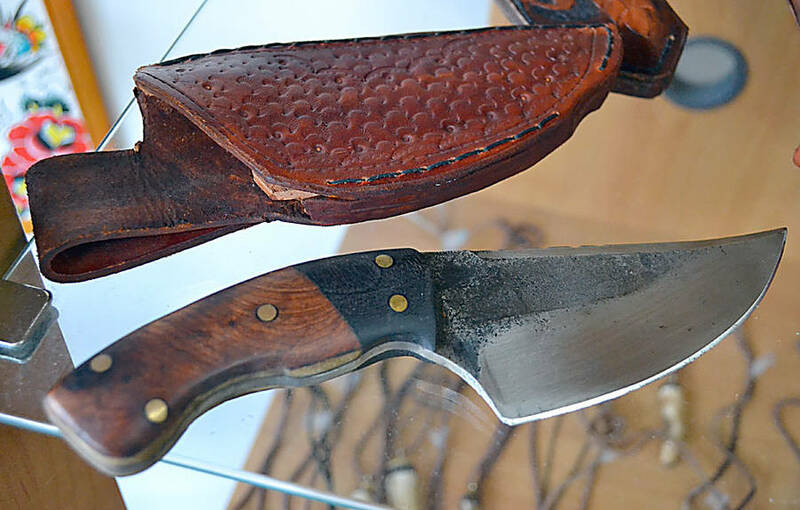 Additionally, Power designs and crafts knives made from old sawmill blades and makes the leather pouches he sells them in. At between $250 to $350 each, the knives give an additional edge to his income. Still, like any artist or business owner, income is never guaranteed, says Power. Winters tend to be slower, and sometimes he might only earn a couple of minimums in a week. "It's variable. I don't have a certain amount every week I'm making. I don't have a certain income every year.."
Though he notes this year has been "really busy. "A lot of walk-ins. A lot of tourists." For any business, that's a picture-perfect scenario.